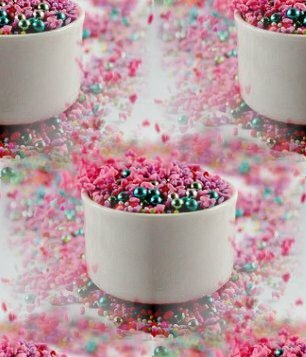 Would you sprinkle sand on your food? True, it might discourage you from eating it but still, it's not something which appeals. Sensa was a new product to help with weight loss. You sprinkled it on your food and the claim is that it causes you to eat less because you get satisfied with less food. Although I could not find the Sensa home page, it appears to be still available however, there seem to be a lot of complaints - enought to have a webpage for complaints. It's a chemical and the top two ingredients according to the manufacturer are "silica" (which is another name for sand) and believe it or not, corn sugar (maltodextrin). It also contains "tricalcium phosphate" and "artificial flavoring" which can be anything and according to at least some folks, can be a nasty chemical. If you clicked on the success story page on the Sensa website, you got a very short testimony about how this lady lost 46 lbs (which is a lot less of a weight problem than some of us battle) and a photo of a 20 year old something in a bikini with abs which looked lipo suctioned - the type of abs most of us normies will never see. Sensa does have side effects, which can include diarrhea, flatulence, upset stomach, vomiting, and hives. Bottom line, if you are a bit sick to your stomach, I guess you won't eat as much as if you feel well but most pundits feel this may not be the best way to establish the lifestyle which will help you keep off the weight. The doctor who developed Sensa, Dr Alan Hirsch, states he reported a study of over 1400 individuals who used the product for 6 months and lost an average of 30 lbs each (again, not that impressive a loss), as "vigorously peer reviewed" by the Endocrine Society. However, a spokesperson for the Endocrine Society stated that Hirsch had been merely, invited to make a presentation on his product for "debate" but that the society had been "surprised and troubled by the promotional nature of his presentation." In the news story on ABC, Dr Pamela Peeke reminded that "There's no magic bullet, and there's no magic sprinkle. ", adding that there was no scientific proof that Sensa worked. Sensa is a bit pricey - it costs $53 bucks for a month's worth. And Dr Hirsh stated you should eat a lot of low calorie foods and that Sensa doesn't work in liquids at all. One blog had a more critical review. One commenter said they have a now outdated supply of Sensa which they paid a lot of money for. Another commenter said they lost weight in a month of Sensa but quickly regained it. And still another commenter said, it works if you diet and exercise but of course, that works without the use of Sensa. Although, I could not find the original Sensa website, Sensa is apparently still available in stores like CVS drugs etc. Sensa sells on the usual words which are music to the public's ears "easy and fast" weight loss, a phenomena which we are all searching for but so far no one has found yet.